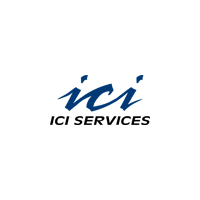 DESCRIPTION ICI Services is looking for a motivated individual who wants to join our team in support of the Surface Maintenance and Engineering Planning Program (SURFMEPP) in San Diego, CA . We are a mid-sized defense contractor providing Engineering, Logistics, Program Services, and Technical Services to government clients in 20 states and the District of Columbia. We need an entry-level Junior Systems Analyst (Corrosion Planner) ready to join a fast-paced and exciting work environment. Security Clearance: Applicant must hold an active Department of Defense (DoD) SECRET personnel security clearance Responsibilities: Responsible as Corrosion Planner, acting as the subject matter expert concerning the interrelations of ship specific corrosion conditions and their impact on expected service life. Additionall, the Planner will track recurring corrosion conditions on multiple surface ship platforms, providing analysis and recommendations to, and in direct support of, SURFMEPP's life cycle management strategies.